Thumb control fan spray nozzle. Ergonomically designed thumb control fan spray nozzle. Spray head delivers a precise , gentle watering pattern. Constructed of a high impact materials will not rust or corrode. ColourWave - the Colorful World of Watering Tools - 16" Watering Wand. On Off Handle Control - Zinc Body. ColourWave - the Colorful World of Watering Tools - 30" Multi Pattern Watering Wand. On Off Handle Control - Zinc Body. 7.57 liter (2 US gallon) watering can. Made from quality resin. 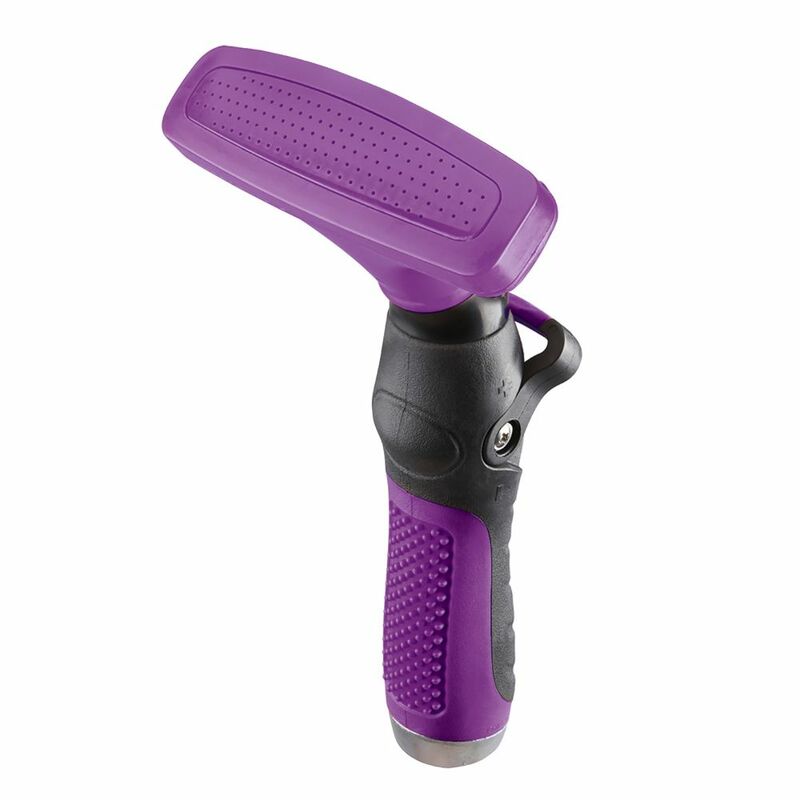 Thumb Control Fan Spray Nozzle in Purple Thumb control fan spray nozzle. Ergonomically designed thumb control fan spray nozzle. Spray head delivers a precise , gentle watering pattern. Constructed of a high impact materials will not rust or corrode.